We specialize in Small, Medium and Micro Enterprises (SMME's) and offer all the necessary accounting, bookkeeping, taxation and payroll services required by SMME's. A summary of the Main Categories of Services which we offer to Small, Medium and Micro Enterprises. Our main goal is to offer a one stop shop for SMME's who do not want to employ, or can not afford the services of a full time accountant or an accounts department. 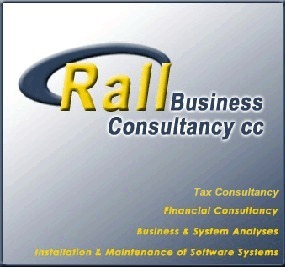 We are accountants with extensive entrepreneurial and business skills. We went through the same ebb and flow of business as any other business. Our view is that we are your silent partner in business, serving you with the necessary skills and advice without costing you an arm and a leg. As your silent business partner we do not become a co-owner or shareholder in your business. Preparation of the Section 51 Manual for Private Bodies in terms of existing legislation.